SymbalooEDU and Glogster EDU announce their decision to integrate platforms and make things easier for teachers when using their tools. The decision comes after frequent requests from teachers currently using both the online visual bookmarking tool and the web-based poster builder. SymbalooEDU, the visual bookmark management tool commonly used for student personal learning environments (PLE), and Glogster EDU, the online multi-media platform for building digital posters, announce they will be integrating. In doing so they provide enhanced features for users of both platforms. Teachers can expect to have SymbalooEDU functions within the Glogster EDU project creation area along with Glog embedding possibilities within their SymbalooEDU Webmixes. "The teachers have so many tools that they have to work with. We should make it easier for them by having their favorite features available and easily accessible. Our educational users vocalized that they would love the option to embed their Glogs on their SymbalooEDU Webmixes and after receiving several requests we decided to reach out to Glogster EDU." --Kimmie Chann, Community Director for SymbalooEDU. "We're so excited to add SymbalooEDU to our list of features; this is the first of many exciting new steps we're taking to re-vamp and enhance the platform and integrate it with other teaching tools." -- Deena Kelly, Managing Director for Glogster EDU. The two companies are carrying on their partnership by co-sponsoring an event, EdTech Karaoke 2012, during this year's ISTE conference. The other co-sponsors include Edutopia, CUE, Edublogs and Volunteerspot. SymbalooEDU is a free Personal Learning Environment (PLE) for educators to visually organize and share the best of the web with students. With SymbalooEDU educators can organize teaching resources all in one place, encourage student to student communications, and promote innovation while maintaining simplicity in teaching. Glogster EDU is an innovative educational platform for the creative expression of knowledge and skills. Glogster EDU empower educators and students with the technology to create Glogs – online multimedia posters – with text, photos, videos, graphics, sounds, drawings, data attachments and more. Our project-based learning platform brings creativity and excitement to the learning process for teachers, students, and parents. 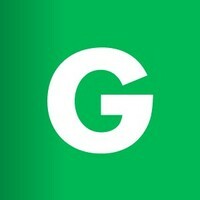 Learn more about Glogster EDU at http://edu.glogster.com. Symbaloo is a visual bookmark management tool that helps to organize and share the best of the web. By creating webmixes around their online favorites, users can easily access their frequently visited websites, news feeds, search engines, radio stations and/or widgets. SymbalooEDU, a resource management tool that helps educators and students curate and organize the best of the web, and Edbacker, a funding platform for all K12 educators, today announced a new partnership that supports innovation in schools and provides educators with increased opportunities. SymbalooEDU, the cloud based website curation tool, announced today that it has been selected as the dedicated user interface for Hunter TAFE, the largest regional vocational educational and training provider in Australia. TAFE is using SymbalooEDU to assist students to embark on their personal learning journeys by going 100% digital and utilizing the benefits of high speed broadband via Australia's National Broadband Network. Symbaloo announces the start of SymbalooEDU in Spain. Further expanding the widespread success in the U.S. and the Netherlands, Spain is the next country to launch a dedicated EDU version. The resources in Spanish for education seem endless and teachers need to create an overview that manages them. Many educators in Spain started using Symbaloo after seeing the examples from their colleagues in the United States. Today SymbalooEDU and VSCHOOLZ announced a partnership and shared a video showing educators how they can save their webmixes and tag them to common core standards. Educators are invited to use the tools together to best curate and organize valuable classroom resources.